There are two facts we know about email marketing. One: it is the most successful form of online marketing, as shown in study after study, all demonstrating that it leads to more conversions and more sales than any other type of Internet marketing. Two: it is the most detested form of online marketing, with survey after survey demonstrating that email users are frustrated and annoyed by the vast majority of email marketing messages. These two facts are in direct opposition to each other. Email marketing works; people hate it. Mmmm. Imagine how much better email marketing would be and what it could achieve if people liked it…! Thankfully, a couple of new studies show that we are getting closer to that happening. It won’t come as a surprise, but the latest piece of research on what people want from email marketing is reliable, useful and valuable information. People do not want sales-based email marketing – even though they will use the emails to buy something. The research comes from Adobe which has found that the number one request, made by 40% of people, is that emails become more informative and practically useful. Of course, other studies have found similar things, but this latest research also shows that this request is pretty consistent across age groups. Notice too that people want content that is directly relevant to them and also material that is from users of the product or service being marketed. In other words, email users are happy to receive detailed and personalised information. They even want to be able to buy the item direct from the email. They just don’t want to be “sold to”. Luckily, it would appear that email marketers are themselves beginning to get the message. Another study from the sales and marketing company Televerde shows that what most marketing experts want from their businesses is a combination of better messaging and better marketing materials. They also want more case studies and testimonials. What they want the least is better sales material. In other words, marketers appear to realise that the time has come to take a different approach to online marketing. The fact is, email marketing works. But given that most people on both sides of the equation want it to be improved, there is every chance that email marketing will gain even higher potential in the future. True, the average number of emails received each day continues to rise – it’s around 300 emails per person per day at the moment. Together with improved filtering, better anti-spam software and increased awareness you would think that email marketing would be consigned to the annals of history. Yet, as we get more emails each day and improve the way we use email, those marketing messages appear to gain even greater value. 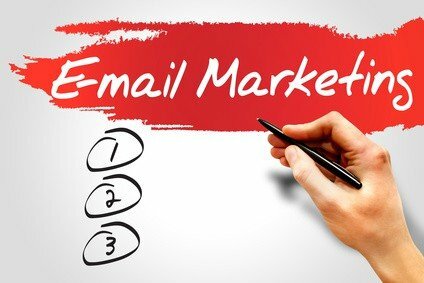 There is something else going on which is making email marketing more useful to marketers and more desirable to users. And that something else is, in reality, everything else that is happening online. There’s social media, messaging services like Snapchat, WhatsApp and a host of other systems for communicating with each other. The result of all this additional online choice is that people are categorising communication. They are saying things like “I use SMS text messaging for keeping in touch with family” and “I use WhatsApp for my team communications” or “I use LinkedIn messaging for communicating with customers”. People are using different services for separate communications activities. Which begs the question, what are people using email for these days? It turns out that people are increasingly categorising emails as “for marketing messages”. It is rapidly becoming THE place where people want to receive marketing materials. In other words, when you send out marketing emails they end up in exactly the right place where people expect to see them. Put those messages on a social network, and it leads to confusion because users categorise something like Facebook, for instance, as for “chatting to friends”. Put a marketing message on social media, and you get lower conversions than through email. That’s because the mind of the user is not ready to receive a marketing message. But send the same message to them on email, and because they have pre-categorised email as the place for marketing, when they open your email message they are in the right frame of mind to deal with it. So, in these days of increased email, massive competition for communications and rising user “savviness” you might think that email marketing has had its day. But the data continue to show otherwise. These latest studies demonstrate that marketers are beginning to get the message: content-based email marketing is the future for online businesses. How brave do you need to be online?